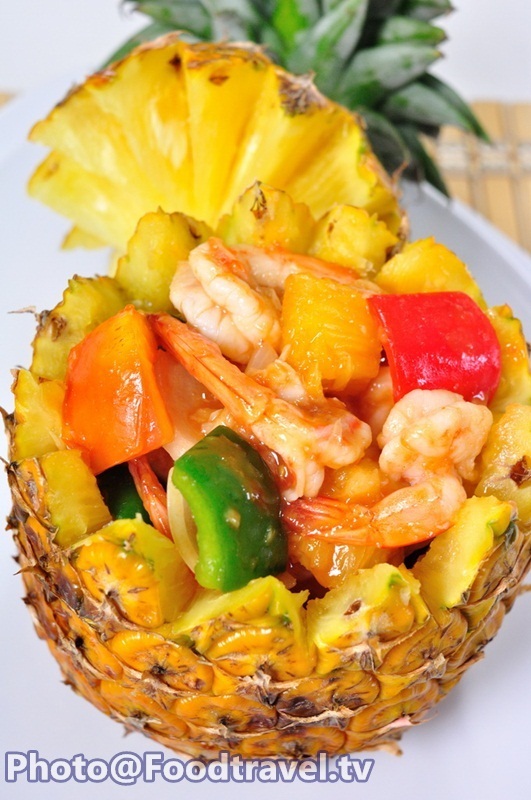 Baked Shrimp with Pineapple - We make the shrimp more appetizing by serving in a pineapple. It’s easy and luxury. Delicious with sweet and sour flavors. 1. Cut onion into small dice pieces 1x1 inches. 3. Cut off the stem of pineapple. Then use a knife to open the pineapple. Then cut pineapple meat into piece to p. We will have fresh ingredients to cook with it. 4. Fry garlic with oil. Then mix the shrimp with tapioca flour and fry in the pan. not to overcooked Season with sugar, tomato sauce, soy sauce, oyster sauce, and add water. 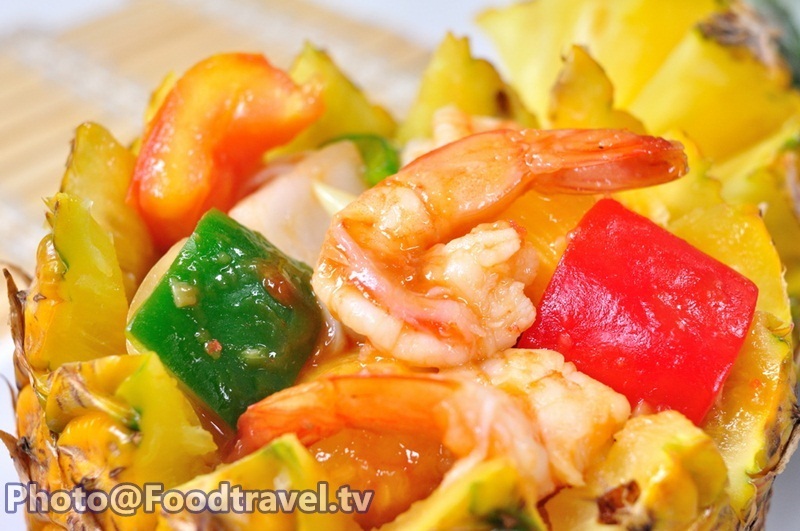 Follow with bell pepper, onion, tomato, pineapple and stir to combine. 5. Spoon fried ingredients in the pineapple. Then put in the oven at 180 degrees for 15 minutes. Ready to serve.